The focus, the suit claims, is on NAR's "Buyer Broker Commission Rule," which, according to the complaint, requires "all brokers to make a blanket, non-negotiable offer of buyer broker compensation" in order to participate in the MLS, which is what brokers traditionally use to list for-sale properties. Brokers who don't participate in the MLS can't effectively market their properties, according to the lawsuit. “Essentially what the case boils down to is the rules of the game that's set up by NAR and its board in terms of how homes are sold and how broker relationships work with clients. Those rules are really mandatory. There's one MLS in each of the jurisdictions that's an issue in the case and that MLS has, as a requirement, that you adhere to NAR's rules," says Benjamin Brown, a partner at Cohen Milstein in the firm’s antitrust practice group and one of the plaintiffs' attorneys on this suit. NAR, however, has no such "Buyer Broker Commission Rule" as described in the lawsuit, according to Mantill Williams, vice president of communications at NAR. "The only requirement imposed by NAR rule is that the listing broker advise all other MLS participants what the amount of compensation to the buyer's broker will be," Williams says. "That amount is determined by the seller and the seller's broker - not by NAR or the MLS. It can be expressed as a percentage of the sale price or as a fixed dollar amount - as low as $1. Under NAR policy, a buyer's broker is free to negotiate the amount of the commission with the seller's broker." Sellers can negotiate the amount of commission they pay to their own agents. Although sellers traditionally pay the commission, that commission is typically split with the buyer's agent. 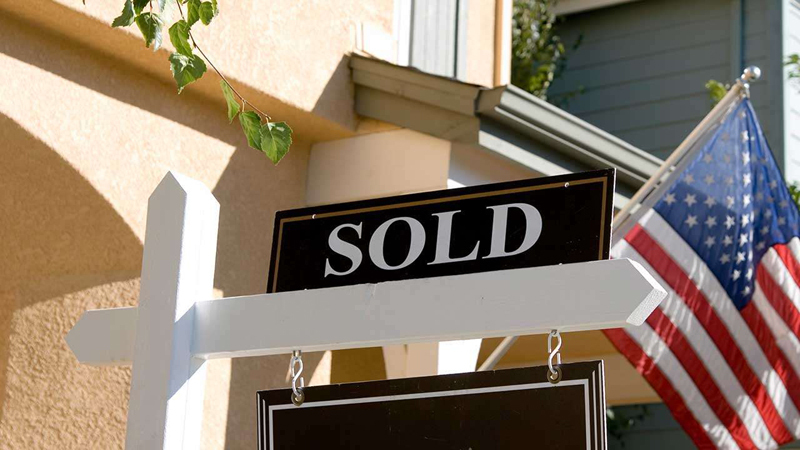 The seller might end up passing on the commission costs to the buyer in the form of a higher listing price. For most sellers, paying a 5 or 6 percent commission is the standard. On a $300,000 home sale with a 6 percent broker commission, a seller would pay $18,000, which is then split with the buyer's agent. This is a standard scenario that many sellers might assume is carved in stone. There are two problems with this system, according to the complaint. First, since the buyer's agent will get half of the commission it may induce them to cherry-pick listings to show those with the highest commissions. The second alleged problem is that the commissions presume full-service work on the parts of both agents. For selling agents, that means listing and marketing the property, vetting buyers and negotiating the sale price, among other services. For the buyer's agent, that includes finding suitable properties, scheduling showings and negotiating contracts. But what happens if a buyer already knows what property they want or if a seller already has a buyer? In both cases, the agents' work will be reduced — but the commission often stays the same, the complaint asserts. The result of sellers paying for both parties' commissions is an ineffective and anti-competitive market, Brown alleges. NAR maintains that the MLS rules are agnostic when it comes to who's paying commissions. The point of the MLS, says Williams, is to promote efficiency in the sale and purchase of residential property. "Contrary to what is alleged in the suit, NAR rules do not require home sellers to pay the broker representing the buyer. Those rules simply tell the seller's broker to inform all other MLS participants as to the portion of the commission that that broker will receive upon a sale will be paid by that broker to the cooperating buyer's broker," Williams says. "Suppose, for example, that the seller has agreed to pay his or her broker 6 percent of the sale price as a commission. The seller's broker, in conjunction with the seller, then tells all other MLS participants how much of this commission will be paid to the broker for the buyer of the property for the cooperation of that broker in effectuating the sale of the listed property." The outcome Brown hopes for is to reduce the commissions that sellers are paying while changing the MLS to something that provides for more competition, although he's not sure what that would look like. “It's potentially a very important lawsuit. When you start talking about tweaking the percentages that comes with these transactions, this has a big impact on people's lives,” Brown says. Commissions vary by brokerages, areas and individual relationships. It's up to the discretion of the agent to decide how much commission they'll agree to. Most brokers will negotiate commissions with their clients — but if the clients don't ask, then they're unlikely to get a fee reduction. "The cost for services is at the discretion of the business owner just as it is in any industry. It is always an open negotiation between the consumer and the agency," Humes says. Although buyers don't technically pay the brokers' commissions, some argue that those costs are getting passed on to them in the form of a higher sales price. Since the contract for listing the home is where the commission is specified, the buyer likely won't be able to negotiate the selling agent's commission, however, since they're not part of that deal. But, there are exceptions to the buyer getting a commission reduction. For example, if a buyer doesn't have their own agent, the commission might be reduced, but that often depends on the type of property as well as the amount of work the agent does, according to Rachel Ostow Lustbader, real estate broker at Warburg Realty in New York. "In the case of the sale of a condo or townhouse listing, getting a commission reduction is less problematic. However, in the case of a coop sale, the seller’s broker would have to work with the buyer to complete the board package, a time-consuming and exacting undertaking, which is in reality the biggest part of a buyer’s broker’s job. In those cases, the seller’s broker would be less willing to cut their commission much, if at all," Lustbader says.